World Horror in New Orleans! Just a few more days until the World Horror Convention opens in New Orleans! I cannot wait to go back. I haven’t been to New Orleans since Halloween 1999. Here is my schedule for WHC2013. 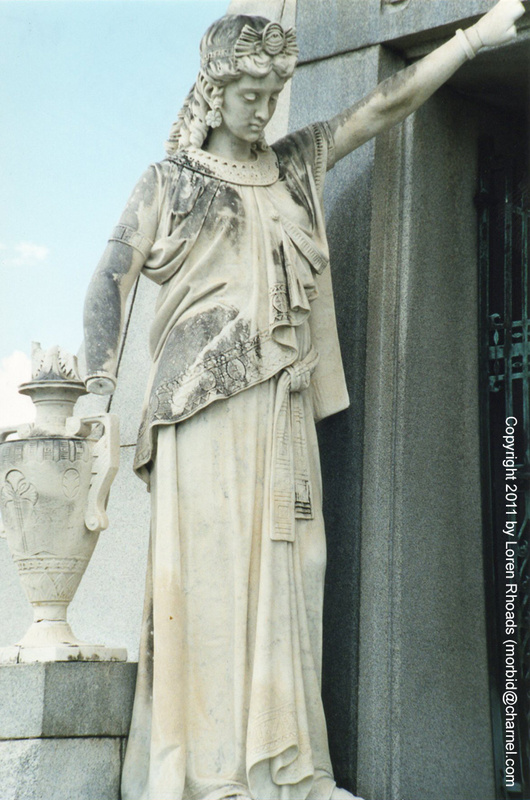 I haven’t penciled in the cemetery tours yet, but I’d like to get out to St. Roch’s and Greenwood, at least. You may be able to find me in the Dealers’ Room at the Black Bed Sheet table. We have some good news to announce. I’m so looking forward to catching up with my HMP homegirls and seeing the book in person! I’m attending the Marketing Yourself panel in the morning, but then I’m free all afternoon. Anyone want to catch an early dinner? Come get a taste of the Haunted Mansion Project’s first two anthologies! Featuring Loren Rhoads, Sephera Giron, Rena Mason, Eunice Magill, and Angel Leigh McCoy. Moderated by Kim Richardson. 5. The CEMETERY TRAVELS NOTEBOOK. ETA: You do not need to have a membership at the convention to come in and get your books signed. Come on in and say hello! We’ll explore the purpose of single-author collections and how one can do them well. Then, barring pitch sessions, I’m free until the Stoker Banquet. St. Roch’s Cemetery is open from 9-12. Greenwood is open from 8:30-4:30. It’s supposed to hit 90, so I think it’s going to be a good day for an early start. This entry was posted in Books for sale, Live Events and tagged author event, Haunted Mansion Project, WHC2013, Wish You Were Here, World Horror Convention. Bookmark the permalink. 1 Response to World Horror in New Orleans! Enjoy New Orleans and the book signings!